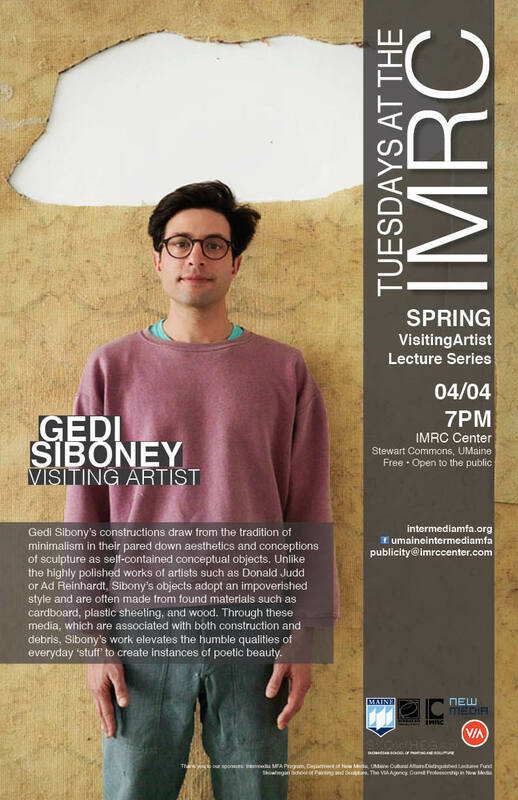 On Tuesday, April 4th at 7p.m., artist Gedi Sibony will present his work as a part of Tuesdays at the IMRC, the UMaine Intermedia MFA program’s visiting artist lecture series. Gedi Sibony was born in New York City and currently lives and works in Brooklyn, New York. His work is in the collections of the MCA Chicago, MoMA, Carnegie Museum of Art, SFMoMA, the Walker Art Center, and the Whitney Museum of American Art. Gedi Sibony’s constructions draw from the tradition of minimalism in their pared down aesthetics and conceptions of sculpture as self-contained conceptual objects. Unlike the highly polished works of artists such as Donald Judd or Ad Reinhardt, Sibony’s objects adopt an impoverished style and are often made from found materials such as cardboard, plastic sheeting, and wood. Through these media, which are associated with both construction and debris, Sibony’s work elevates the humble qualities of everyday ‘stuff’ to create instances of poetic beauty. His recent solo exhibitions include Neu Gallery, Berlin (2015); Greene Naftali, New York (2014); Douglas Hyde Gallery, Trinity College, Dublin (2014); Culturgest, Lisbon (2011); My Arms Are Tied Behind My Other Arms, Contemporary Art Museum, St. Louis (2009); If Surrounded by Foxes, Kunsthalle St. Gallen, Switzerland (2007); and In the Still Epiphany, a curatorial project at The Pulitzer Foundation for the Arts, St. Louis (2012). 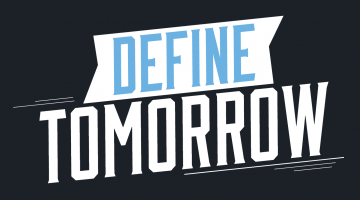 Sibony’s work was recently featured in All The World’s Futures, the 56th International Art Exhibition, Venice Biennale (2015); Greater New York, MoMA PS1 (2015); ; The More Things Change, SFMOMA (2012); The Language of Less (Then & Now), MCA Chicago (2011-2012); All of this and nothing, Hammer Museum (2011); Unmonumental, The New Museum (2007), and the 2006 Whitney Biennial. This series is made possible through the generous support of: The UMaine Cultural/Affairs Distinguished Lectures Fund, Skowhegan School of Painting and Sculpture, The VIA Agency, Correll Professorship in New Media, and the UMaine Intermedia and New Media Departments.